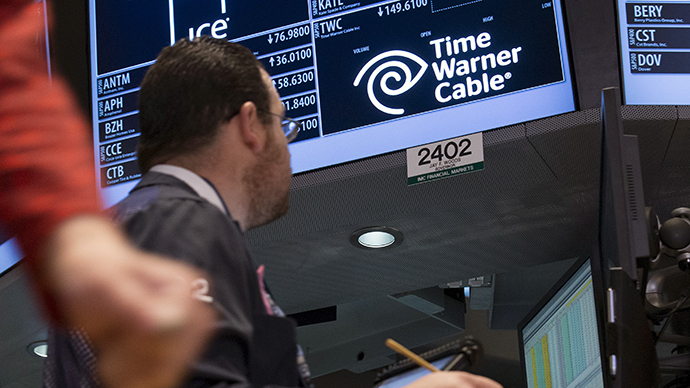 US leading broadband company Charter Communications has acquired Time Warner Cable in a deal worth $78.7 billion. The new company is expected to become one of the largest cable and broadband operators in the US. The deal, creating a new company – New Charter - values Time Warner Cable shares at $195.71 according to a Charter Communications statement issued on Tuesday. As part of the agreement, Charter will also buy Bright House Networks for more than $10 billion. The new company will provide with services 23.9 million customers in 41 states. “New Charter will capitalize on technology to create and maintain a more effective and efficient service model. Put simply, the scale of New Charter, along with the combined talents we can bring to bear, position us to deliver a communications future that will unleash the full power of the two-way, interactive cable network,” President and CEO of Charter Communications Tom Rutledge said. The agreement comes one month after US largest broadcasting and cable company Comcast withdrew its bid for Time Warner Cable (TWC) due to regulatory issues. The company offered $45 billion last year to combine with TWC. Analysts say Charter will not have to face the same level of resistance from regulators as Comcast, partly because the TWC merger with Charter will still be smaller than it could be with Comcast. New Charter won’t own extensive media assets, as Comcast does through its NBC Universal division. Charter said it would sell $5 billion worth of stock to Liberty Broadband to help finance the deal. TWC will receive a $2 billion breakup fee if regulators block the deal. Time Warner Cable operates in 29 states and is viewed as an important asset. Competition among cable operators has intensified recently in the US, the companies are trying to cut costs and attract new customers to dominate in the country’s cable and broadband industry.